During WWII, he single-handedly protected a bomber squadron against German planes… even when he ran out of ammo. They called him the “One Man Airforce” after that. James Howell Howard was born on April 13, 1913, in Canton (now Guangzhou), China. His parents were doctors who expected their son to enter the medical profession, as well. But it wasn’t to be. They moved back to America when he was 14, which wasn’t easy for him. Other kids called him “China” and asked if he really was an American. Perhaps that’s what made him do what he did next. 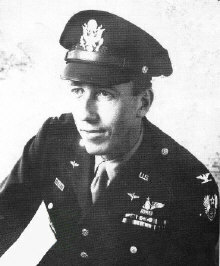 Colonel James Howell Howard in 1945. For during his senior year in college, he decided that medicine was no longer his thing – the military was. So after graduation, he signed up to learn naval aviation. Of the 140 other applicants who tried, he was one of 15 who made it – becoming Navy Seaman Second Class. By 1938, he was in Class 109-C at the Naval Training Station in Pensacola. There he became an Aviation Cadet in the Naval Reserve… but not for long. His first assignment was aboard the USS Wasp, with the Fighting Squadron Seven (VF-7). The year after that, he was with another ship learning to fly yet another plane. It went on like this till 1941 when his life would again take a different turn. 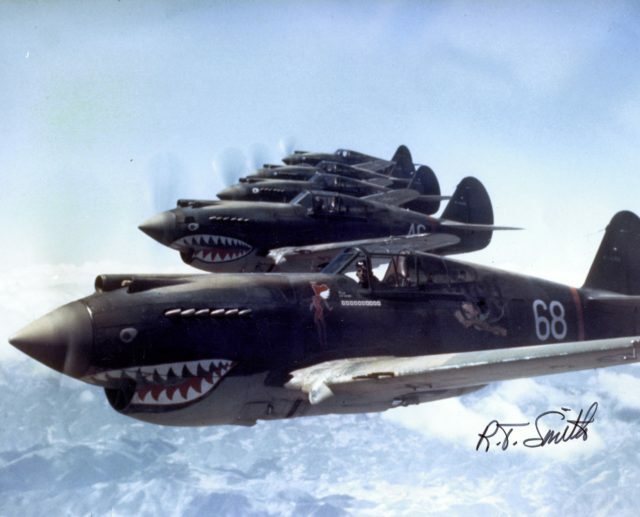 3rd Squadron Hell’s Angels of the Flying Tigers over China in 1942. The Navy offered him a regular commission – a rare honor, and at the time, given to only one other ensign. But Howard refused. He wanted to go back to China. America was unhappy with the Japanese occupation of China, but was determined to remain neutral. At least officially. Solution? A secret group of fighters taken from different branches of the US military. Except that they couldn’t go to China. Too obvious. They went to Burma, instead… right across the Chinese border. And that’s how Howard ended up joining the American Volunteer Group with the Flying Tigers. 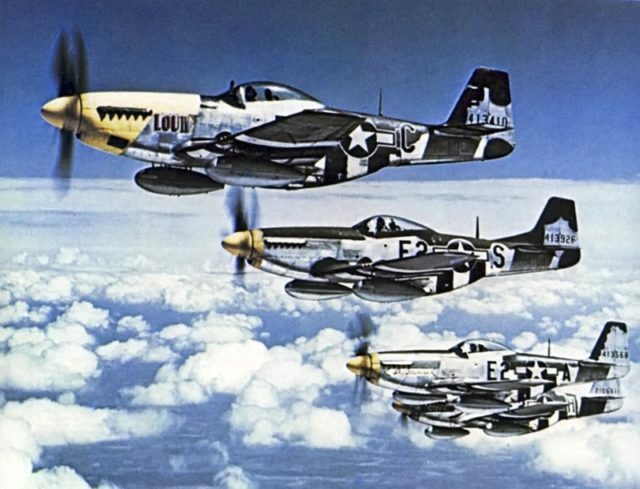 P-51 Mustangs of the 375th Fighter Squadron, Eighth Air Force (1944). Based at the Kyedaw Airdrome outside the town of Toungoo, he was put in the Second Pursuit Squadron. Then Pearl Harbor happened, so many returned to the US. But Howard stayed to protect the Chinese and Burmese. He was part of the joint US-British operation that destroyed the Japanese advance on Rangoon on December 25, 1941. The following year on January 3, he was one of four pilots who attacked the Japanese airdrome at Tak, Thailand as they were preparing another attack on Burma. The Flying Tigers were disbanded on July 4 because America needed all its men. Having shot down six Japanese planes in 56 missions, Howard became an ace. Back in the US, he joined the US Army Air Forces as a commissioned captain with the rank of major and command of the 356th Fighter Squadron in the 354th Fighter Group. 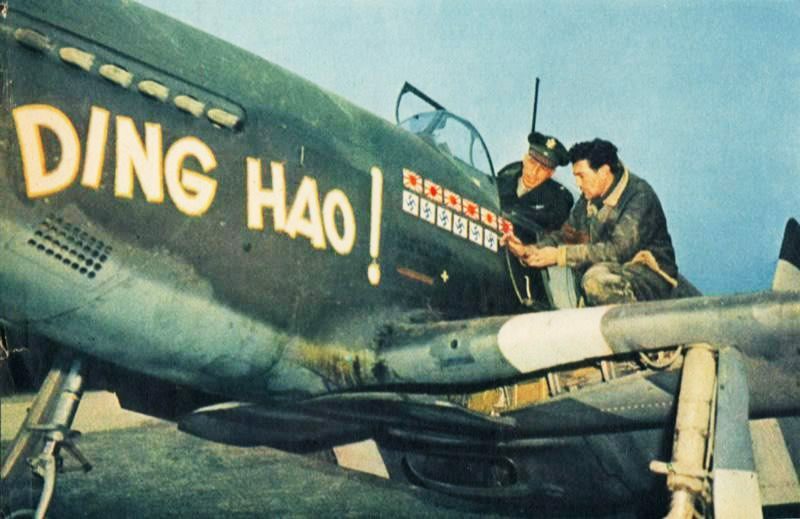 Howard got a P-51 Mustang, complete with his personal emblem – Ding Hao! (“very good” in Mandarin). Based in Britain, he had the honor of joining the longest fighter trip to Kiel, Germany on December 11, 1943 – setting a record. On January 11, 1944 he set another – one that would put him in the history books. His squadron was escorting a group of bombers tasked with hitting the German town of Oschersleben because of its airplane factory – the AGO Flugzeugwerke. German planes met them, so Howard dispatched his fighters as best he could. The bombers were built for carrying heavy payloads, not aerial gymnastics, so they were particularly vulnerable. And that’s where the Mustangs came in. 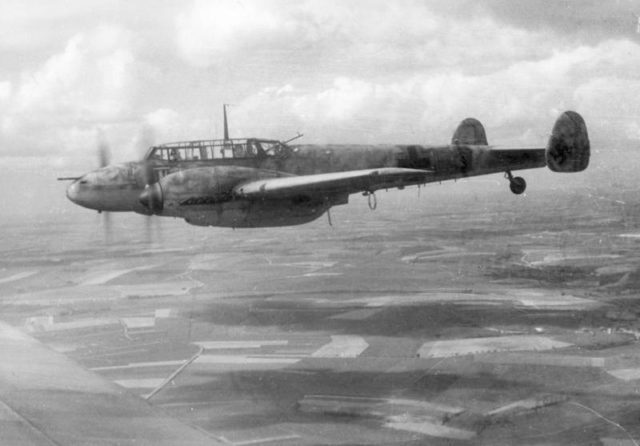 Messerschmitt Bf 110. Photo Credit. Howard didn’t remember much about the first skirmish, only that he got separated from his squadron. Flying back up to bomber altitude, he saw a combat box (attack formation) of about 20 bombers under fire from six fighters. So he shot at one plane… hit it and dove after to make sure it was out of commission. It blew up on the snow-covered ground as Howard banked upward for more. Just before he reached the bombers, a Focke-Wulf Fw 190-A3 flew beneath him. Howard fired… and hit! The pilot ejected, almost hitting the Ding Hao! with its canopy. The former Flying Tiger zoomed back toward the bombers when a Messerschmitt 109 flew beneath him several hundred yards ahead.